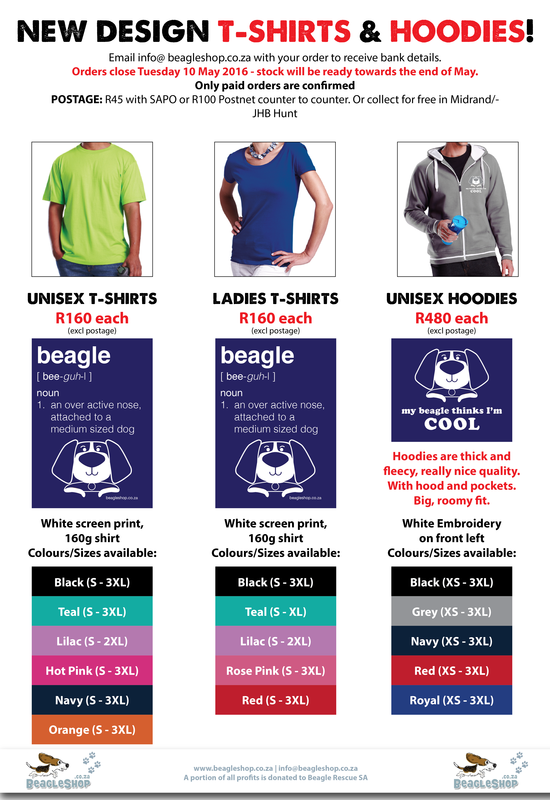 Please email info@beagleshop.co.za to place your orders. The T-shirts (unisex & ladies) have the same (new) design to be screenprinted. The *NEW* hoodies have a new design to be embroidered on the front. I know they are expensive BUT they are really really really nice!! Big, soft and comfy… you wan’t want to take it off – trust me! Paid orders ONLY. Orders close Tuesday 10 May 2016 – stock will be ready towards the end of May so there is PLENTY of time.